Hi loves! Another 3 piece set to show you today, and this time it's from Zoya! PrettyPolish was kind enough to sent me a set of the Zoya Ultra PixieDusts and I swatched them right away because I was very curious about them. If you are too, keep on reading! They were all swatched over a base of Duri Rejuvacote, obviously no top coat was used. 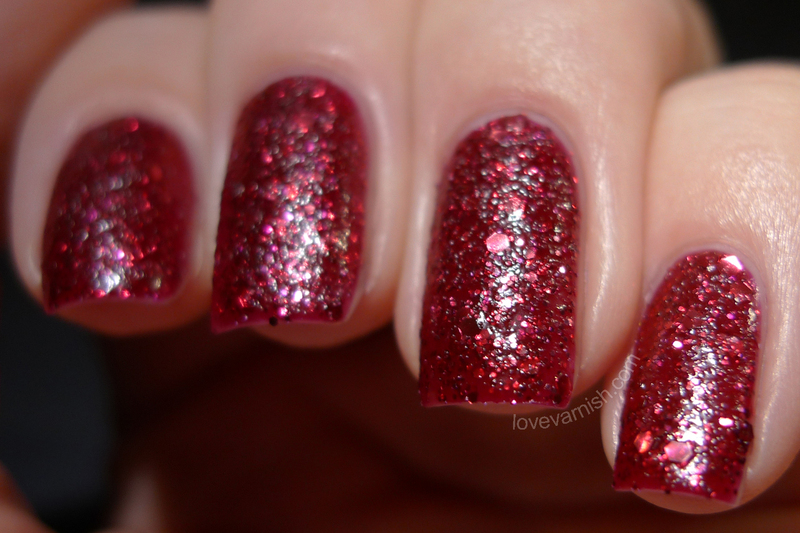 Zoya Arianna is a medium red shade, quite cool in tone and very appropriate for the holidays. This was the most sheer in formula and I used 3 coats for opacity. The texture appears quickly but the shiny finish remains, making it look like it hasn't dried down yet. The formula is a bit runny and thin so be careful with cuticle pooling. Zoya Noir stands out the most in shade, being a dark purple jelly base filled with glitter that appears a tad lighter and sometimes even more magenta than purple. It lights up the base! More opaque formula and 2 coats were needed for opacity. 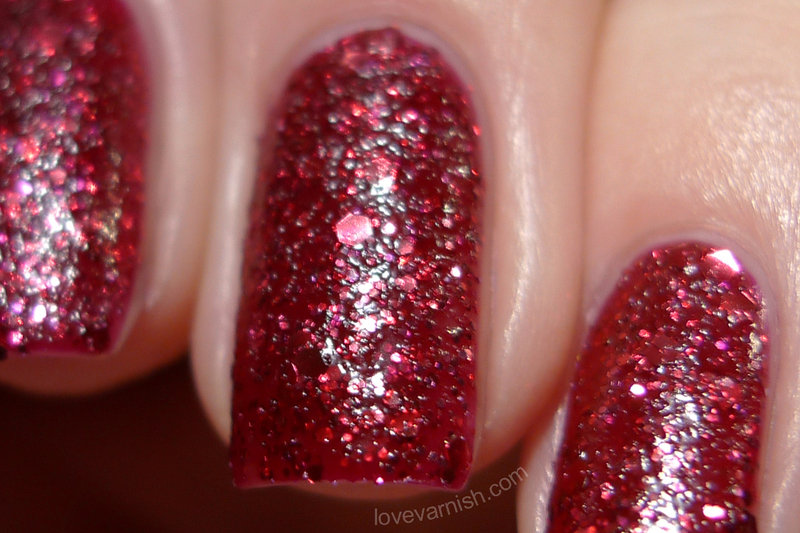 Zoya Oswin is more of a fiery red, almost with a hint of orange in it. This dries down matte, yay! The formula is thicker and more easy to manage as well, 2 coats were needed for opacity and it dries down quickly. Overall, this collection did not impress me. 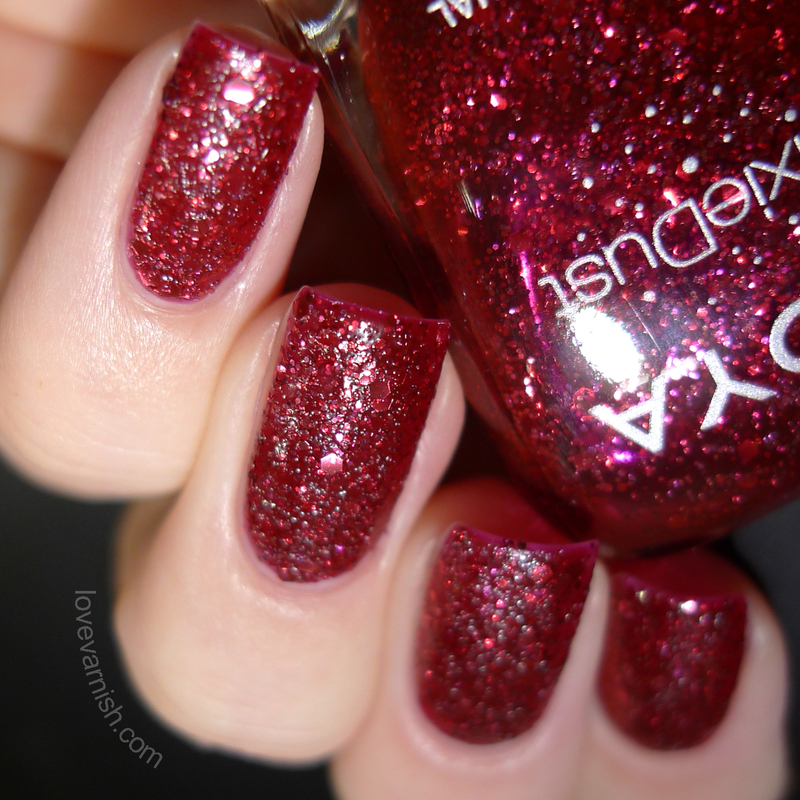 Just like the Zoya Magical PixieDusts, the addition of larger hex glitter is not doing it for me, and I am quite sure I would've enjoyed these far more as regular PixieDusts. The colors are lovely, especially for Fall! The formula on Oswin was good, the others were not so great. The Zoya bottle and brush is always a pleasure to work with though. How do you feel about these shades? Something you like or dislike? Tell me in the comments! PrettyPolish is a European based nail polish stockist that ships internationally. Besides Zoya, they also carry China Glaze, Color Club, SpaRitual, Models Own and many others. For more information check out their Facebook page or follow them on Twitter! NOTE: For the convenience of my international readers I have linked the .com version of the webshop above. Because of certain restrictions you can only purchase Zoya through the .nl version, which is www.prettypolish.nl. I like Noir, but I do agree that the normal pixiedusts were prettier! 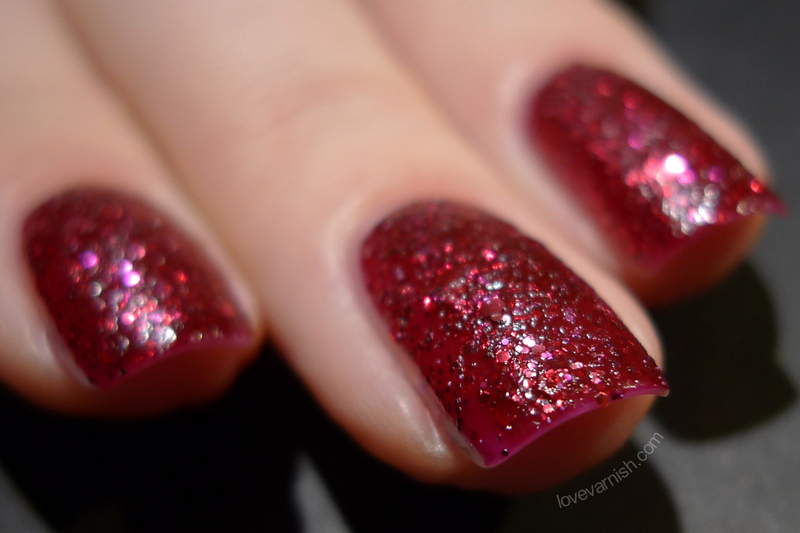 Amazing swatches but I agree, Oswin looks better because the finish is matte. Oswin is still my favorite because it dries down to a true matte. I wish the others did too. :/ Amazing swatches love! Wow, they are all stunning, but Arianna is taking my breath away! GORGEOUS! Arianna is my fave. Beautiful! Loving the texture quality of these polishes! Your swatches actually make me like these! Arianne is calling my name. Oswin! I love that one! I agree with you on this collection. Amazing swatched my dear! Noir is stunning! Great swatches. zoya likes to torture me. Noir is my favorite. Arianna is definitely my fave! I love how pigmented all of them are though. Noir is... everything. Fab swatches! Thanks Kerry, and glad you still like Noir :). Thanks Em! Yeah.. I'm reeeally hoping they'll cut the crap and go back to the original formula :P.
It's sucky huh? But thanks anyway! Happy to hear they still get some love! :D I like that one too! Dark and purple, a great Phyrra shade ;-). Haha YES on the nails they do show difference! I'm still not tired of the texture trend :). Aww, that is so sweet! Thank you! Didn't Zoya have a promotion right now.. 3 for $15? Well I am glad there are still people left to impress then ;-)! And they are having a promotion too I think! They definitely are, even though some had a more jelly base, there is still a lot of pigment in it. I really like the finish ! I love the original Pixie Dusts, but haven't tried any of the Ultras yet...Noir is gorgeous! I am not usually a fan of textured polishes but Noir looks so interesting! The shade is so deep and dark! It definitely catches your eye :). It certainly does, my pictures made it look a bit flat intead of the sparkly matte it is :).